The Multi Digital card is a great tool to add recording functionality to the Si consoles. It provides a 32x32 USB interface (PC only), and a 32x32 FireWire interface (MAC and PC). 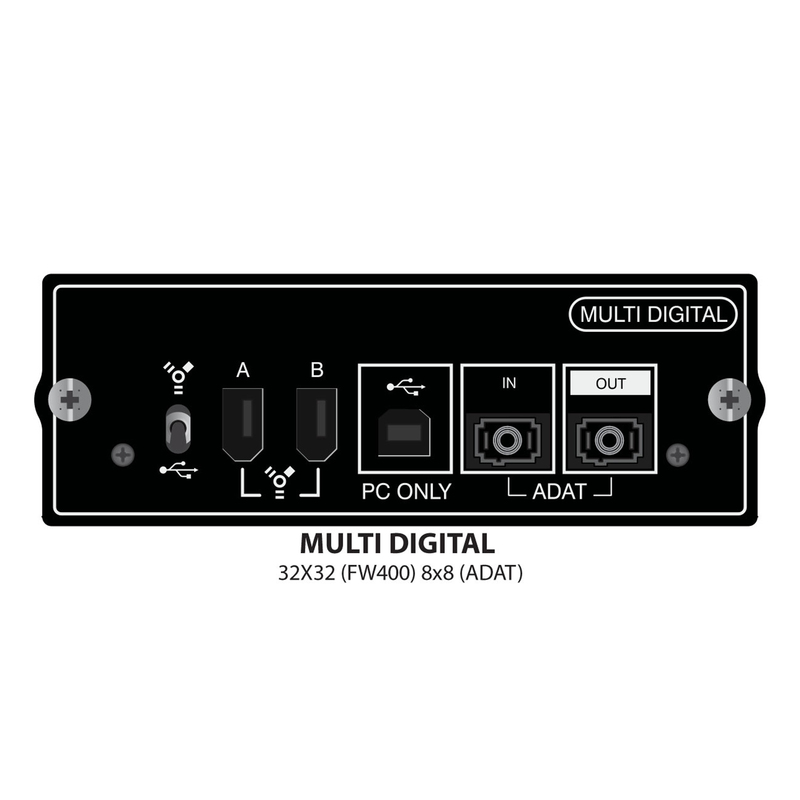 In addition, there are 8 channels of optical ADAT in and out available on the card. * PC Compatibility: the Soundcraft Multi Digital Card supports Windows XP, Vista, Windows 7, and Windows 8 and does not currently support Windows 10. * Mac Compatibility: the Soundcraft Multi Digital Card supports Mac OS 10.6.x Snow Leopard through to 10.11.x El Capitan.